"We now know the true figures of what that will cost, and it's tens of millions more than what you've ever said," said Mayor Jenny Durkan. "That's not good news, and I know that." 8 months after the city has made its own decision, said Mayor Jenny Durkan. Traffic Lab is a Seattle Times project that addresses the delicate traffic issues of the region, showing promising approaches to defusing stagnation. Readers are finding the best ways to move. It will be with the help of community sponsors Alaska Airlines, CenturyLink, Kemper Development Co., NHL Seattle, PEMCO Mutual Insurance Company, Sabey Corp., Seattle Children's Hospital and Ste. Michelle wineries. Seattle Times editors and reporters work independently of our funders and retain editorial control over Traffic Lab content.
" We now know how much money it will cost and it's tens of millions more than what anyone has ever been told, "Durkan said. "That's not good news and I know that." criticizing the former leadership of the Seattle Department of Transportation (SDOT) for mismanagement of the tram and other big projects and said that a number of people have left the agency, but that they can no longer go to work. "These projects have not been well managed, and I'll say that the people who run these projects today are new to this government," Durkan said, praising the SDOT staff. But the report also found that the costs of SDOT's new tram system contested by the King County Metro are "reasonable", although the two agencies will continue the talks. The dispute over running costs prompted Durkan to cease construction and hire the consultant to review the project. The adviser noted some risk that the city would have to save more money on operating the system surplus to a $ 2.6 million annual deficit. The cost would lead to certain deficits, from $ 5 million to $ 10 million a year, if the city is unable to replace the financing of Sound Transit, which is due to disappear in 2024. And the long-planned road-rail expansion scrapped The city's cost was $ 55 million, of which $ 31 million had already been spent, according to KPMG's report. The project, begun in 2012, has been on ice for five months. KPMG report is more than two months overdue. Durkan followed the project in March after a Seattle Times report stating that Metro believed SDOT had underestimated the cost of operating the new system by up to 50 percent. 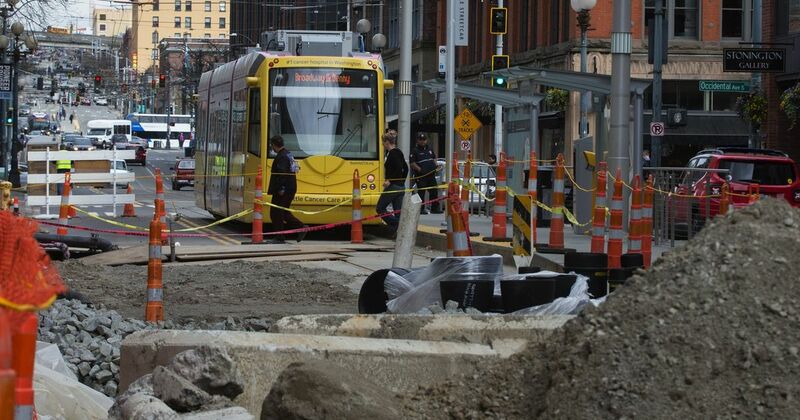 Metro operates the trams under contract with SDOT. Rising costs, such as those for other major transit projects in the region, have been driven, among other things, by higher material and labor costs and increased administrative staff. The city has ordered 10 new trams for $ 52 million, which are longer and heavier than the ones they currently own. The KPMG report identifies possible increased costs to adapt existing equipment to the new, larger trams, but does not take it into account in its estimates. The KPMG report also predicts an exponential increase in passenger numbers when the tram is being upgraded does not look as bright as SDOT had previously projected. Without expansion, the city's existing First Hill and South Lake Union tram lines would carry around 1.5 million passengers annually in 2022. With the new tram along First Avenue, the report predicts that the combined system would carry between 5 million and 6 million millions of drivers in 2022, the project's new estimated opening date. SDOT had previously predicted that the extended tram system would open in 2020 and carry more than 6.8 million passengers. A preliminary urban design review of the project, completed in the weeks prior to Durkan's order for the stop, revealed construction costs had increased. What was a $ 150 million project a few years ago became a $ 177 million project and was estimated at more than $ 200 million in March. But since then, the mayor's office has mostly been quiet. KPMG submitted a draft report in early June, and the consultant said it would not be long before the final report was ready. The tram project had secured substantially $ 50 million but had not yet received funding, with $ 25 million more likely to follow. The new tram line would run on its own and eliminate the slowdown in First Hill and South Lake Union lines that share traffic. Proponents say the project would be an efficient way to get into the city center and improve the city's transit. The existing trams splintered on opposite sides of the core of downtown did not reach the passenger numbers. But SDOT has predicted a passenger boom when the new line is built – from about 5,000 tram drivers per day up to 22,000 with expansion and about 30,000 daily drivers by 2035. "We know we need more transit, we know when When we have a good transit, people come and go, "Durkan said. "Every dollar we spend on a transit project can sink where we spend on another transit project." In late July, Durkan added more uncertainty to the project, as the city's new trams are longer and heavier than those currently used and may not be compatible with the current track and maintenance barns. Durkan's office said a more detailed "technical review" would be needed to assess these concerns. The mayor's office gave few details of the size problems that may have occurred, and critics accused Durkan of drafting a rationale for killing the project. The KPMG report also contains some details about the sizing issues. KPMG found the problems solvable, but wrote that they needed "additional analysis" and listed the costs of potentially changing facilities to accommodate the new trams as a major problem in driving cost increases.